We notice that the newer your car is to you, the more often we get to see you. We suppose that this is normal. If your car is brand new, or new to you, it only makes sense that in the early days, you spend a little more time and attention because you want your new baby to look its best. The thing is though, that being a regular customer for any car wash should be part of all the ongoing maintenance for your car. Just like regular oil changes protect the inside of your car, washing it on a regular basis keep the finish stronger and helps the shine last a lot longer and keeps the resale value up. Honestly, some of the things your exterior encounters on the road are nasty, caustic and corrosive. Salt, bug juice, asphalt, paint, can all eat away at your finish. Regular washing removes the grime and empowers your finish to better defend itself. Some of the other stuff like tree spittle, acid rain, bird attacks and other naturally occurring environmental threats are constantly parking themselves on your shine and dulling your ride. The long term effects of this constant barrage of man-made and environmental threats, left unchecked, will flat out ruin your car's look and luster. Don't forget the interior either, regular shampooing and protecting the hard interior surfaces add to your look, comfort and the value of your baby. She's happy when she's clean. Winter – if you live in areas with heavy snow and salt on the roads, wash your car every week. There is just no way to get that corrosive salt off your car without a top and bottom wash. If you live in areas less prone to snow and ice, a routine wash every few weeks can empower your finish to fight normal environmental threats. Since many of us avoid the snow by fleeing southward to the beach, don't forget that regular winter washing keeps corrosion from the salt air at bay. In extra corrosive conditions, replenish your wax protection about the beginning of February. In less icy areas, your regular deep cleaning detail schedule combined with a wash every few weeks should leave you sparkling. Spring – Here come the bugs, the rain and the pollen. Removing the sticky tree sap and pollen can be a weekly need in early spring. At Mr. Clean Car Wash we provide discounts for multiple wash booklets that could be utilized all spring or pick up an unlimited wash plan to make running through the wash easy and super affordable. 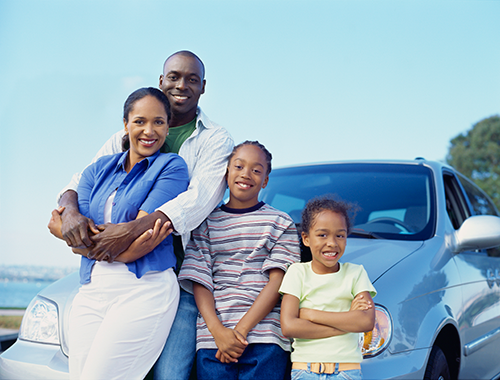 Summer- Just before that long road trip, hit your nearest Mr. Clean Car Wash for a thorough inside and out cleaning. Let us go ahead and apply our 2-Step wax process to protect from road hazards like sticky asphalt and grime from the road. At Mr. Clean Car Wash we feature fully capable maintenance shop, get the oil changed and the tires checked and take a look at the wiper blades, as part of an overall inspection under the hood. That move could save you big time. Finding a one stop wash/oil/ maintenance and inspection place will save you time and should save you some money when you combine services. Fall- Once the kids get back in school or you have finished the summer travel schedule, get a deep cleaning detail. There is only one way to get a really deep and lasting clean: Give your car the gift of time with a detail professional. Shampoo the rugs, do a fresh deep cleaning hand wax on the outside, give the detailer time to get in to all the cracks and crevasses. If the detail is done right, you should feel like you just left the showroom again. Your Fall detail brings you half way home to protecting that shine year round and strengthens your finish against the coming Winter.